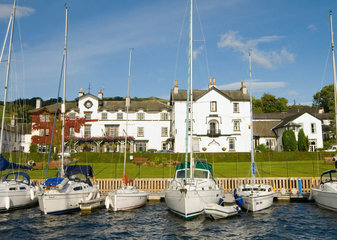 Discover the lakes brings you the best Lake District hotels in whatever budget you choose. We have hotels from a basic standard up to the most luxurious 5 star hotels including boutique hotels and family friendly hotels. 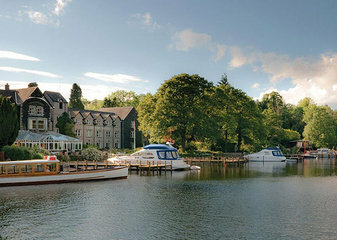 Hotel accommodation has improved dramatically over the years we have been running this site and the Lakes remains good value and of course there are hotels in stunning locations overlooking the lakes themselves with panoramic views. We try to personally visit as many hotels as possible and our comments can be found at the bottom of the individual hotel pages in the “in our view” section. If we have given the hotel a positive review then it means we like it and you will too! 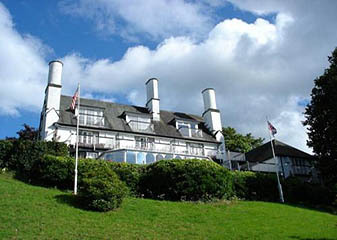 Cedar Manor is a short stroll away from Windermere village and is an impressive Victorian Lodge style hotel. 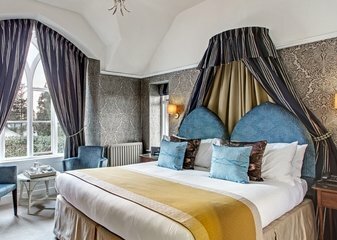 The Hotel now has 10 luxury rooms and suites, all individually interior designed by an award winning Windermere interior designer, hand-made furniture, again designed for the hotel and hand-crafted…. 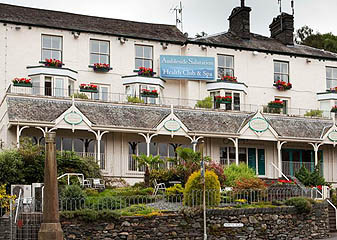 In the heart of the Lake District, amid dramatic fells and picturesque valleys you will find The Ambleside Salutation Hotel. 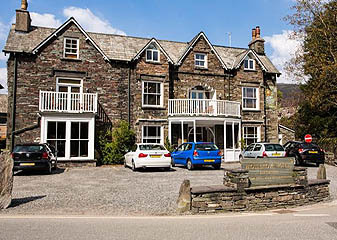 Enjoying village centre location and boasting breathtaking views, this Lakeland hotel accommodation is ideal for a weekend getaway, midweek break or even a Christmas party…. 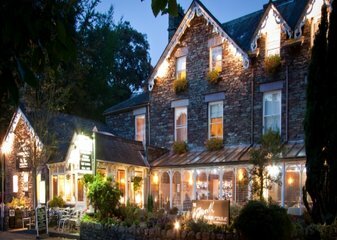 There are hundreds of lake district hotels, ranging from small 17th century coaching inns to large, modern establishments. We take a look at the things you need to take into account before you choose a hotel. The Lakes lies surprisingly close to the North Western coast of England and consists of mountainous areas and valleys separating one community from another. What looks like a small distance on a map can be a two hour journey in a car and a full days outing on a bus. So it’s important to take geography and transport into account. If you are travelling to and around the lake district by car, you’ll have maximum choice in regard to the location of your hotel. If however you’re arriving on public transport a central location should be chosen with Windermere being recommended in particular as it has rail as well as bus links. After transport considerations your choice of location comes next. Would you prefer peace and solitude or the hustle and bustle of the major tourist hot spots?. If you are looking for a very relaxed holiday in an area that still provides the full lake district experience, the North West Lakes will be perfect for you. Even though the Lake District attracts an annual 15 million visitors, there are still areas where you can go walking for a day and not see another soul. If you are happy to mix with the crowds, then the central Lakes around Bowness and Amblesdide is the place to be. Recommended quieter areas are: The whole of the western side of the Lakes; if you imagine a vertical line joining Broughton in Furness with Bassenthwaite, anywhere to the left of the line is for you. 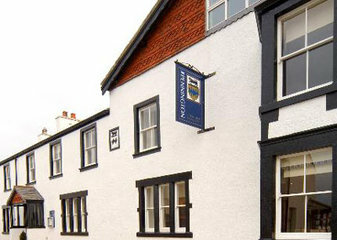 Recommended locations in the western lake district include: the villages of Broughton in Furness in the south and Buttermere and Cockermouth in the north and the valleys of Wasdale and Eskdale. In the North East of the Lake District, the areas around Shap and Pooley Bridge will provide you with equal solitude. Be aware that facilities and transport links in these remoter parts will be less readily available than in the main tourist areas. This means that the types of activity you enjoy are likely to be related to the outdoors. You can always take a day trip to one of the popular lake district towns to add a little variety to your stay. If on the otherhand you are looking for livelier locations, Bowness on Windermere, Ambleside, Keswick and Kendal should be on your shortlist. The Langdale valley is also very popular with walkers. Hotels in the quieter areas are likely to double up as the local public house, so don’t expect five star luxury. You’ll find similar accommodation available in the busier areas too, but will also have the choice of Luxury hotels with Michelin starred restaurants. Like most tourist destinations the Lake District has peak seasons for tourism. School Holidays and Bank Holidays are always popular as are most of the summer months plus Christmas and New Year. During these peak periods hotel prices increase and availability decreases. getting around can also be difficult as the narrow coutry roads get clogged up with traffic. My recommendations are to visit either at Easter, or in September/October. The weather is usually better than in the summer months (if a little colder), and both traffic and hotel prices reduce considerably. Having chosen your location based on the above factors, you can now narrow down your choice of hotel based on its style and reputation, facilities and choice of restaurants.